Don’t look now, but this mummy seems to have found his way out of his pyramid. Encased for more than 3,000 years, he might be looking for a party. After all, it gets boring lying in a chamber for that long! We’re not entirely sure, but the mummification process might not have worked since he’s obviously up and walking around. He might be sore and achy…and he might be looking for a big breakfast buffet—if he can find his stomach in one of the canopic jars. Of course we’re just kidding...but we’re wagering that your son is looking to unleash some old school Egyptian terror at a Halloween party. That’s right, it’s time to leave the old tomb and shake a leg—but not too hard that it falls off! 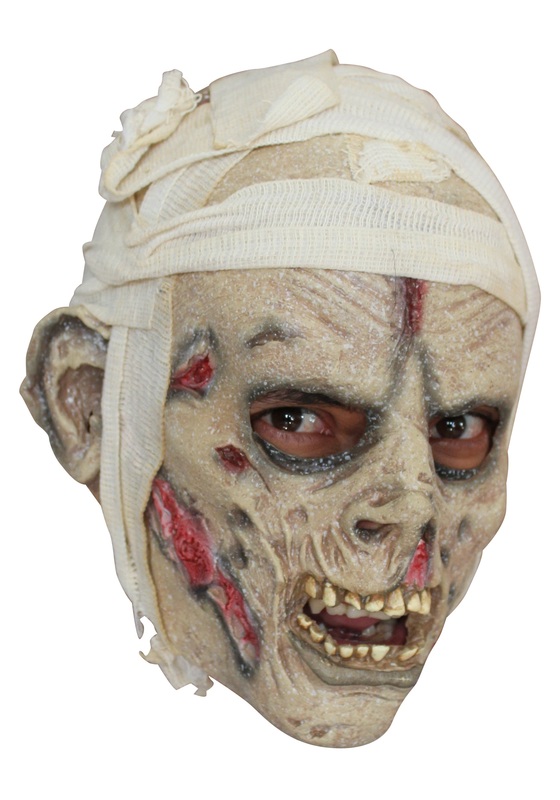 This Child Scary Mummy Mask will keep the experience real. It comes partially wrapped with mummy-inspired fabric. You can add strips of fabric or toilet paper, to a tattered outfit, and he'll be ready to masquerade as one of Egypt’s oldest residents—until it’s time to return to the underworld where he belongs.